With the third prime minister in two and half years of the current parliament soon to be elected, the old debate of government has been reignited. The parliament’s first and the third largest political parties—Nepali Congress (NC) and CPN (Maoist Center)—inked an agreement on Tuesday to displace the KP Sharma Oli-led government and to lead the new government, by turns, on rotation basis for nine months each. This incident has served to remind people of the perpetually unstable and hence rather unpredictable Nepali politics. But is it really unpredictable? Nepal’s politics is quite predictable if you go by the record of government changes in the past 26 years. One can safely predict that the tenure of a government under current circumstances would be around a year, which, in fact, is the average term of a government in Nepal post-1990. Not one of the past 22 governments formed since the restoration of democracy in 1990 has got the chance to serve for three years, let alone serving out the full five years. In this period, the government led by then Nepali Congress President Girija Prasad Koirala formed immediately after the success of the second People’s Movement in 2006 turned out to be the longest-serving coalition; it lasted for 29 months until August 2008. The government in power for second-longest term was also led by Koirala. It was formed after the first parliamentary election following the political change in 1990. Of the 22 governments formed since the 1991 general election, 12 governments failed to complete a year in power. The situation was no better during the party-less Panchayat era that lasted for 30 years. At least 15 governments were formed and dissolved at the time when kings were all-powerful. When the latest agreement signed between Nepali Congress President Sher Bahadur Deuba and CPN (Maoist Center) Chairman Pushpa Kamal Dahal was made public, it was widely criticized in social media and other forums for fixing the term of the to-be-formed governments in advance. There are many people, both in major political parties and outside, who claim that the problem lies with the parliamentary system and the electoral model adopted by the country. They believe Nepal needs to have a system where people directly elect the executive head of government (prime minister) or the executive head of the state (president). They argue that such a system can ensure stability as the popularly-elected leader can’t be removed by securing a simple majority in the parliament. Nepal badly needs sustainable growth and development, also to realize its target of graduating from a Least Developed Country (LDC) category by 2022. Those who bat for directly-elected executive system argue that fast growth and development aren’t possible unless there are substantive changes in the existing system. This issue was intensely debated in both the first and second Constituent Assembly in course of constitution drafting. At the time, CPN-UML had proposed a system with a directly-elected prime minister as head of the government and a parliament-elected ceremonial president as head of the state, while the then UCPN (Maoist) lobbied for directly-elected executive president. 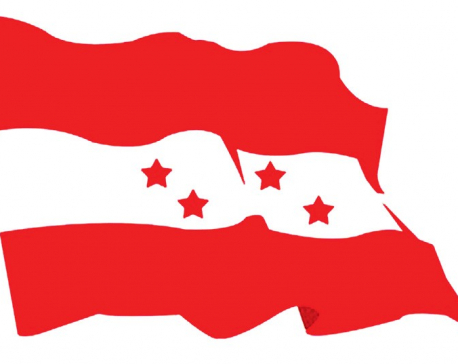 Nepali Congress (NC) and some other political forces, however, continued to root for the old parliamentary system. Finally, all the sides agreed on giving continuity to the existing parliamentary model. With the third prime minister in two and half years of the current parliament soon to be elected, the old debate of government instability has been reignited. Former Prime Minister Baburam Bhattarai, who now heads Naya Shakti Nepal, has been arguing in recent days that “the agenda of adopting directly-elected presidential system has become more relevant now”. In one of her tweets on Tuesday, CPN-UML central committee member Ram Kumari Jhakri argued that her party’s decision to give up the proposal to elect prime minister directly from the public was suicidal. But there are strong arguments against the system of directly electing executive heads as well. Many believe it isn’t the parliamentary system which is faulty, but that the political leaders have messed it up. They argue that even a perfect vehicle can’t function well if the driver doesn’t handle it right. Parliamentary system is working well in several countries, while other countries are in crisis even under directly-elected presidential systems. So, in this reading, Nepal’s political drivers (leaders) are equally to be blamed for the current state of affairs. Experts argue that a system of directly-elected president might be risky for Nepal. Political analyst and former minister Nilamber Acharya said that adoption of directly-elected president will push the country into an even bigger crisis. Such a situation, he thinks, is likely to lead to greater polarization in the society and a violent revolt, further destabilizing the polity. “Instability in political system may ultimately weaken the country,” worries Acharya. He blames the faulty electoral system, among other reasons, for the current mess. This system compounded with unnecessarily expanded size of parliament and creations of unnecessary commissions and other bodies has curtailed the legislature’s powers. The new constitution that has adopted mixed electoral system and it hasn’t set a threshold to secure seats under proportional representation quota. This makes it tough for any political party to secure a majority in the House. This in turn contributes to making of unstable coalitions. But the recent political developments, however, have certainly bolstered those who have advocating for directly-elected executive head.